This is out of the park delicious. 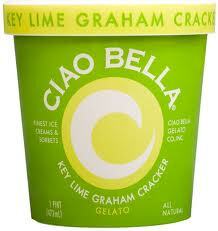 I LOVE key lime pie and it tastes like the real thing, and the added graham crackers made my day. This is my go to indulgence. When I need to stop thinking about everything except the flavors in my mouth. I could eat the entire tub, I have eaten the entire tub. Its tart, sweet, and has the consistency and texture of added graham. If you like key lime pie, you will love this.